Last week saw the cattle kill tip over the 40,000 mark for the first time this year, the final figure being 40,022. 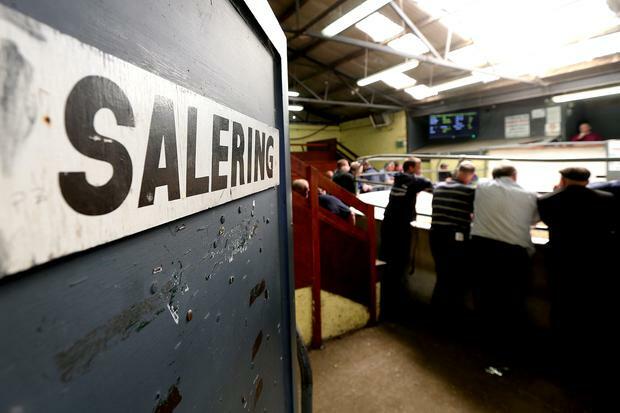 Prices yesterday morning appeared to be holding as they have done for nearly a month, with base prices for bullocks and heifers of €3.75/kg and €3.85/kg reported. However, speculation is growing that factory bosses may make a concerted effort to further ease bases. What has been pulled is the price of cull cows, with reports last week that they were cut a further 20c/kg in some plants. While the general belief among those with cattle to sell is that the continuing high numbers are down to a surge in the number of cull cows coming on stream, figures released by Bord Bia for the week ending November 4 show that the biggest increase that week over the same week 12 months ago came in the numbers of bullocks and heifers that went through the system. The bullock kill for the week was 13,965, up 462 on 2017. Heifer numbers were up 627 at 8,842, while cull cows rose the least. Cow numbers were up by just 207 to 7,933. None of this is good news and there are reports that it is now taking up to two weeks to get stock killed. Some plants are telling men with fit, in-spec, under-30-month cattle that they will have to wait and possibly lose their quality assurance bonus as a result. I’ve known better Novembers in the cattle business. One well-placed commentator from the northwest told me customers at his mart were now openly angry at some of the factories’ tactics. He told me farmers believe that some factories appeared to be deliberately putting those men with in-spec stock back down the order list in an attempt to drive at least some of their cattle out of the quality assurance grid. This tallies with what I said last week about factories appearing to be keener on quality assured stock outside of the quality assurance bonus grid. Returning to the pricing of those cows; O grades are now down to €2.90-3.00/kg, with P+3s around the €2.80/kg mark, and other P3s on €2.60/kg. R grade cows are generally making €3.10-3.20/kg. Bulls are also under pressure, with under-16-month stock seeing base prices around the €3.75-3.80/kg mark. The question of what should be done with ever increasing numbers of dairy cast-offs and canner cows undermining the suckler industry has generated great debate and anxiety. Whether the solution is getting these lesser animals out of the food chain or never letting them into it, money will be required. This time, rather than tap the national reserve or the tax payer, the Government should go after the source of the problem, the dairy industry – a milk by-product disposal levy, to be billed directly to the milk processing sector on a per litre basis.